Those recently burned in the romance department would rather undergo oral surgery than attend a wedding filled with happy people celebrating love. Destination Wedding takes that feeling and turns it into a movie about two miserable wedding guests who develop a mutual affection, but need their shields broken down to get over bad past experiences. Interestingly, the detachable 2-in-1 market has created a lot of bad experiences and soured many from getting into another 2-in-1 relationship. The promise and allure of having both a tablet and a PC often resulted in a subpar experience on both ends, either through being more one than the other, or going cheap on components in the name of cost or battery life. Finally, HP’s Elite x2 1013 G3 promises to finally be the detachable 2-in-1 of your dreams, with a Tinder profile that reads like it’s too good to be true. 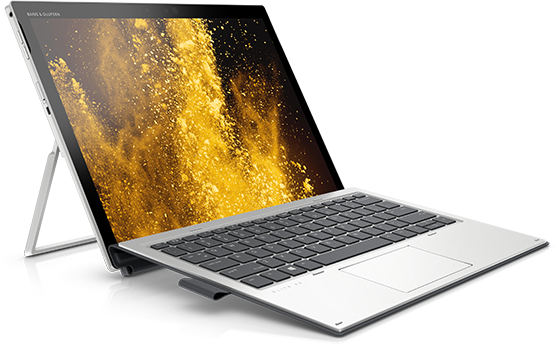 There are phrases HP uses to describe it such as “full PC performance with the freedom of a tablet” and “power to handle your professional apps.” And then there’s the profile picture, which shows off tight curves with a svelte figure, combined with jaw-dropping beauty and sophistication. It’s tempting, but can one put the past behind and swipe right?